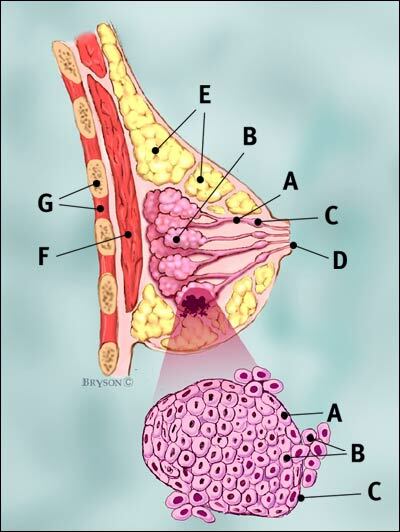 Lately the incidence of breast cancer among Indonesian women is getting higher and higher. In the last 5 years this deadly cancer is approaching the incidence of uterine cervical cancer that rank as number one cancer among women in Indonesia. We all know, that by modernization, Indonesian women are now do not want to have many children as their moms were. And the more women working and pursuing their own career, the more would delay their marriage and having children. This condition would bring the unopposed-estrogen in their body as the condition where breast cancer will develop. Uniquely, not all of the women have enough knowledge about this cancer. So, the patient will ignore early symptoms and signs of this breast cancer, so that they will come at the late stadium. This would bring consequences of poor prognosis to the patient. 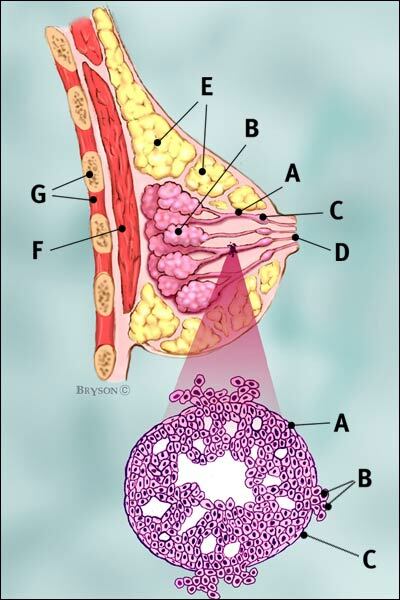 Picture on top is a diagram and a bit morphology of lobular carcinoma and at the bottom is invasive ductal carcinoma of the breast which is the most common type of breast cancer. Saya senang berbagi dengan siapa saja, terutama hal-hal yang saya punya dan ketahui. Semoga apa yg saya lakukan bermanfaat bagi orang banyak. Amien. Denny, tulisannya bagus, topiknya bagus, dan segalanya bagus, semoga berguna kita semua dan Denny berhasil sebagai “alatNya”. Salam kasih. Thanks for visiting my blog.. I learned a lot from you, how to manage many things in a short time, during my stay in the US. Thanks for your appreciation and attention. I love you very much and I am very proud of you.